French presidential aide Alexandre Benalla, accused of beating a May Day protester in Paris, and four other suspects, have been released from custody, local media reported citing prosecutors. Benalla was detained by police for questioning on Friday. All suspects are expected to be brought before an investigating judge on Sunday, according to the radio station Europe 1. 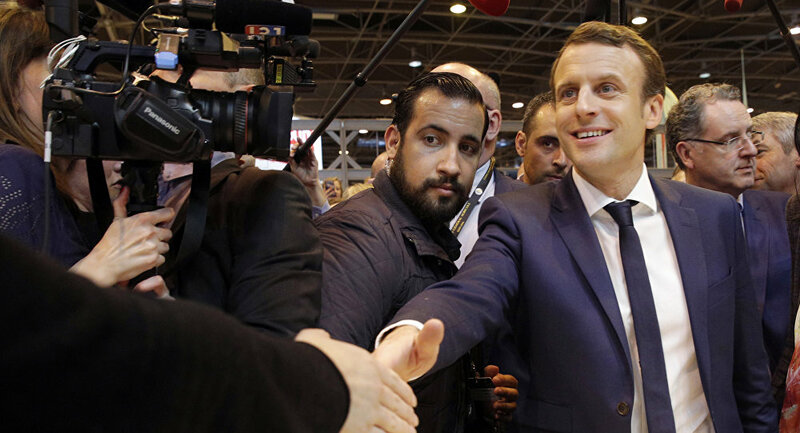 On Thursday, media reported that Paris prosecutors had launched a preliminary investigation into Benalla over an attack on an anti-government protester. The high-profile case broke out after a May 1st video emerged capturing a man in riot police gear, supposedly Benalla, who tackled a young rioter to the ground and punched him repeatedly before fleeing. The Elysee's spokesman said Thursday that Benalla had been suspended for 15 days and temporarily left without pay. On Friday, the Elysee announced a decision to launch the firing procedure over new facts that had come to its attention, local media reported. Benalls has been placed in custody over violent actions "committed by a person holding public office," French media reported, citing Paris prosecutors. A number of French opposition politicians have expressed outrage over the situation. Laurent Wauquiez, head of The Republicans denounced the video as "shocking." Jean-Luc Melenchon, the head of the left-wing Unsubmissive France (La France Insoumise) party, on Thursday called for a no-confidence motion against the government unless the latter provided explanations to the National Assembly regarding the incident with Benalla.